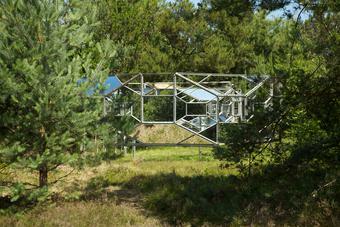 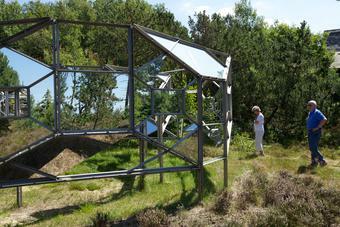 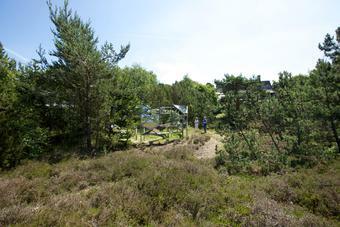 The two concentric steel structures that make up Your invisible house are partially glazed with double-sided mirrors and installed directly on the ground, at eye level, creating a strong connection between the work and its environment. 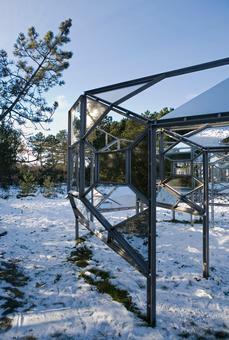 Unglazed sections allow views into and out of the pavilion – views that the mirrors extend into seemingly infinite, disorienting corridors criss-crossed by the repeating bars of the steel framework. 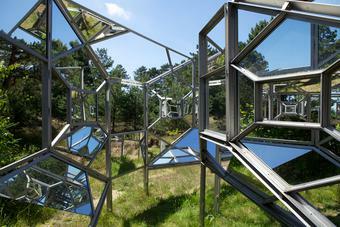 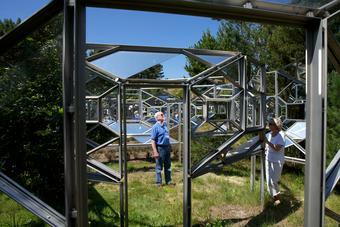 Visitors moving about the pavilion are easily lost within the labyrinth of reflections. 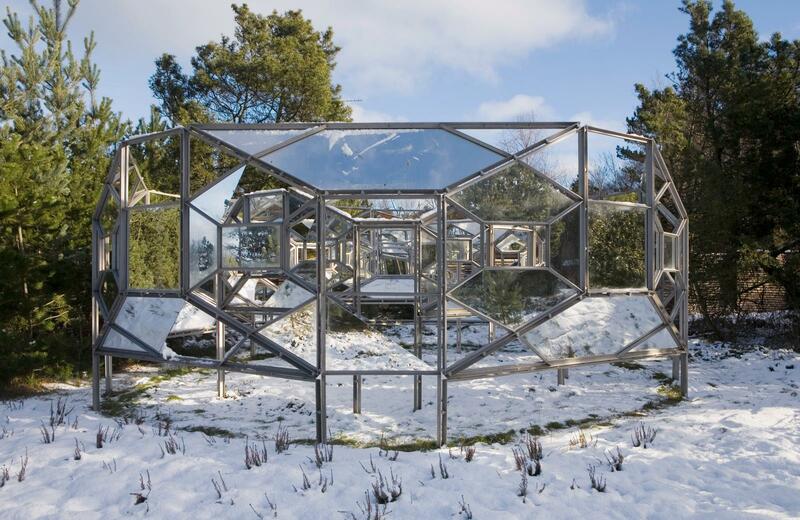 The mirror faces also serve to weave the pavilion into its natural setting, reshuffling the surrounding trees, grass, sky, and soil. 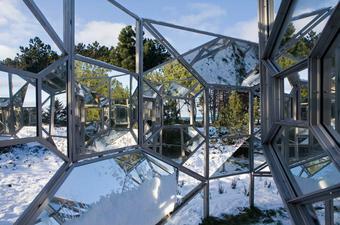 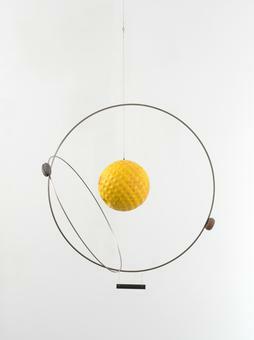 The work changes with the light conditions, becomes almost camouflaged, invisible.